How Do You Nurture Self-Help Skills In Your Child? "To succeed in the real world, you need to be able to fail," Dr Ken Ginsburg, a Professor of Pediatrics at the University of Pennsylvania School of Medicine, once said. For children - as they learn to take the initiative to manage themselves, they begin to learn vital life skills essential for the 21st century. There are 4 general categories of self-help skills children attain - self-feeding, independent dressing and grooming, hygiene and toileting, and helping with daily chores. These skills enable children to meet their own needs and developing these skills involves experiences that lead to independence. Confidence also plays a significant role in the journey toward independence and maturity. Children have an innate desire to be independent. With time, as children grow in self awareness and develops skills, it is common to see them attempting to do certain things without their parents' assistance as they discover their own ability to navigate the world around them. How, then, can you raise your child to be creative, confident and in control of the environment around him/her? There are 3 considerations to understanding the teaching and learning process. 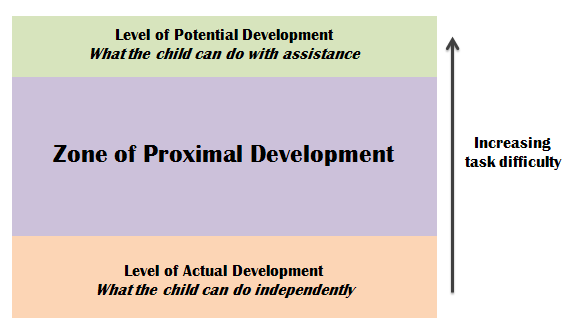 There is a zone of learning between what a child can do independently (actual developmental level) and what a child cannot do with assistance (level of potential development) - Vygotsky calls this the Zone of Proximal Development (refer to diagram below), where the child recieves the best conditions for success. This learning process requires demonstration, modelling, support to try and practice. Parents play a crucial role in promoting and supporting the development of self-help skills in children. Yes, at times the process can be a little messy, and it is not as easy as simply doing the task for your child but there is a secret to success- ensure that you give your child age-appropriate experiences and provide appropriate support to help your child be successful. Remember, independence is the goal, time is the answer. 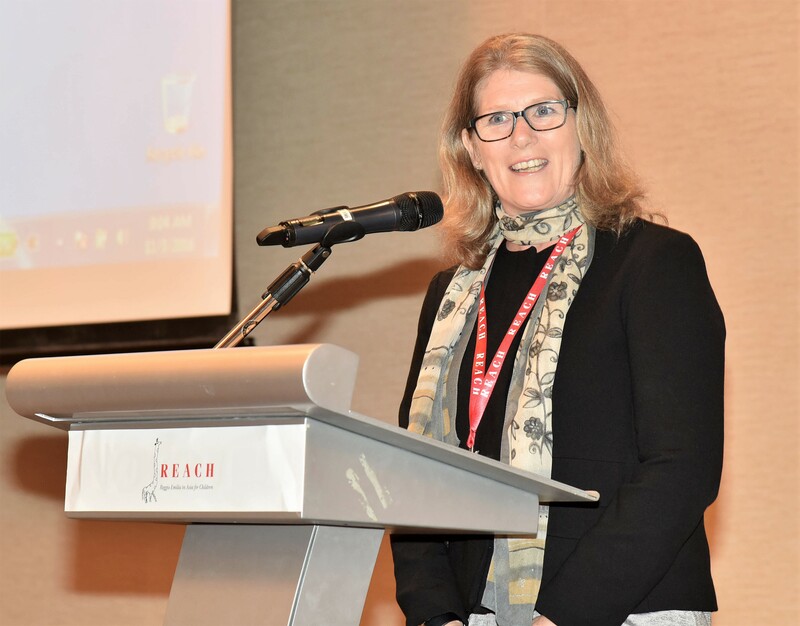 Leanne has rich experience in education (early childhood through to primary) for over 30 years, having had a variety of diverse teaching and leadership opportunities in Australia and Singapore. 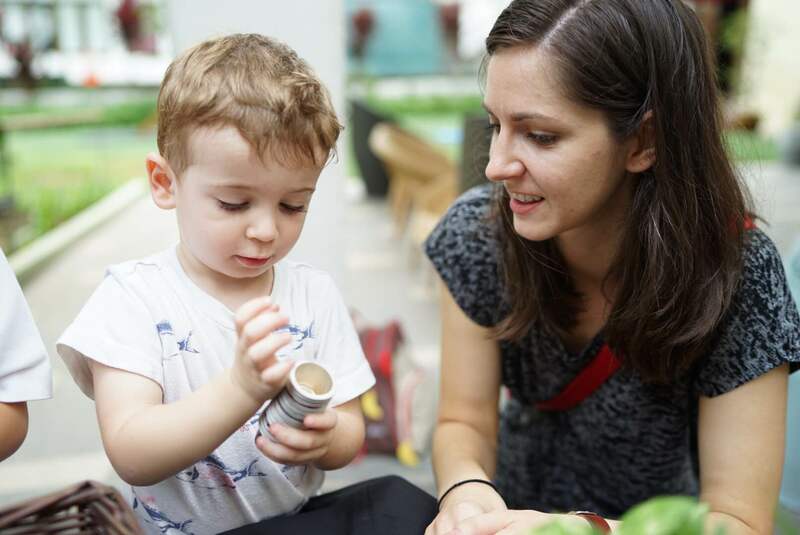 Leanne perceives the child as a creative, curious and intellectual person and believes in fostering respectful relationships that enable the community to engage in innovative and dynamic inquiry-based learning. In her role with EtonHouse, Leanne mentored principals and curriculum coordinators and worked with teachers to ensure the quality of the early childhood education offered to children in the schools.